If you're staying a couple of days in Osaka or in Kyoto you have at least 3 reasons to visit Nara, and I promise you won't regret spending a day there! 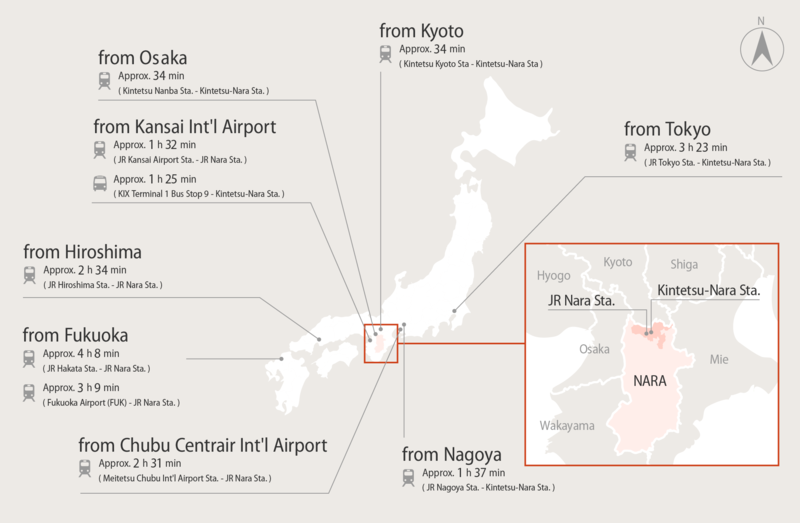 But first of all, here's a map and a link of public transportation of the area; as you can see, the trip from Osaka and Kyoto takes only half an hour. 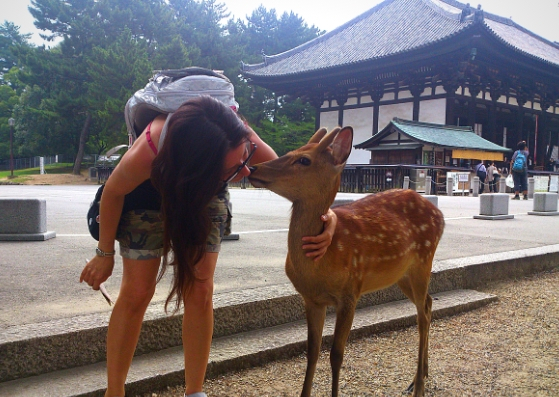 Almost everyone associate Nara with its park, as it can be considered the main attraction of the city. 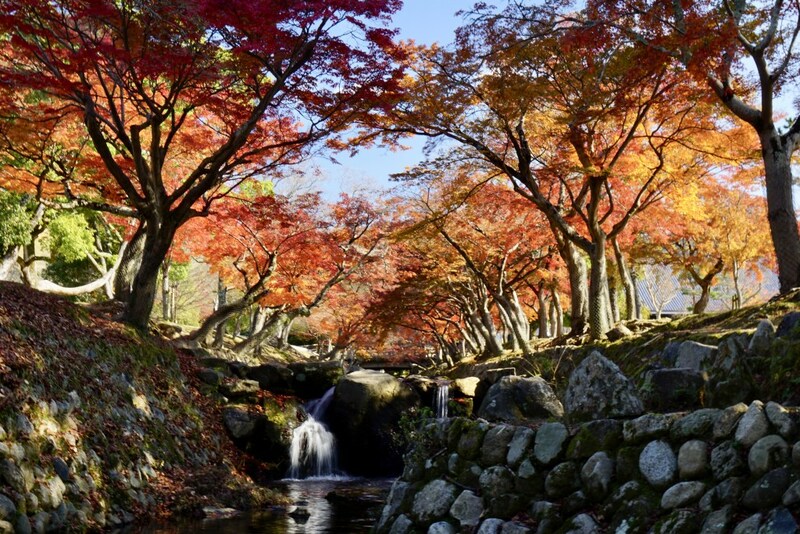 It stretches over eight square kilometres and inside the park, beside enjoying a nice walk through beautiful paths, you can admire plum and cherry blossoms in the spring and beautiful multi-coloured leaves in the autumn. But that's not all 🙂 the park is also home to temples, museums, cafes and, most of all, deers! Inside Nara park stands Todaiji Temple (UNESCO Worlds Heritage Site), where you can admire the Great Buddha Hall, one of the world’s largest wooden structures. 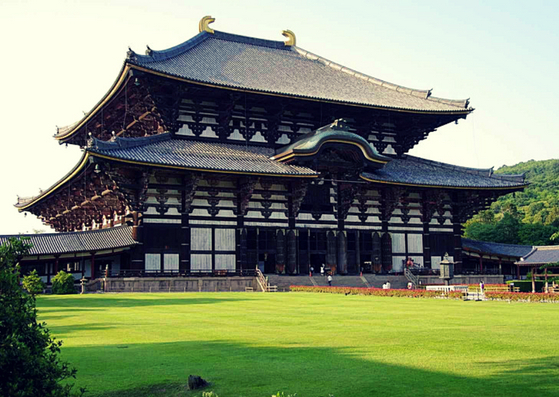 The temple contains a 16m tall bronze buddha (considered Japan's largest) and a giant bronze bell of 26 tons weight. Everything is breathtaking about this Temple. 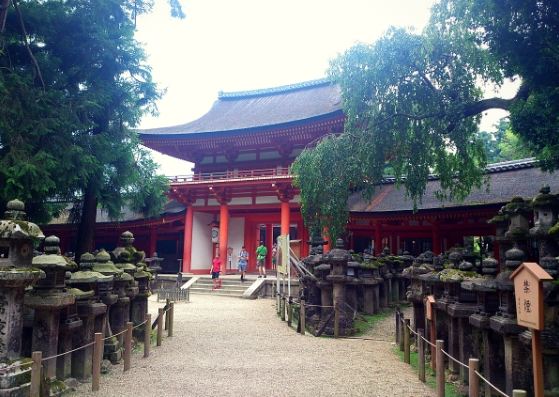 On the opposite side of the park from Todaiji, but connected by a pathway, is Kasugataisha Shrine, the most famous and impressive Shinto shrine in Nara. Once inside tha main area you will be impressed by the vermillion columns that stand contrasting the white walls and roofs of the building. On the main road through Nara Park you cannot miss the World Heritage Kohfukuji Temple and its five storey pagoda, which is the second tallest in Japan. The area is home to the National Treasure Museum. Other temples and shrines can be visited in Nara and Nara park, but I think that the 3 that I mentioned are the ones that you cannot miss. Reason number 3: deers, deers, deers! 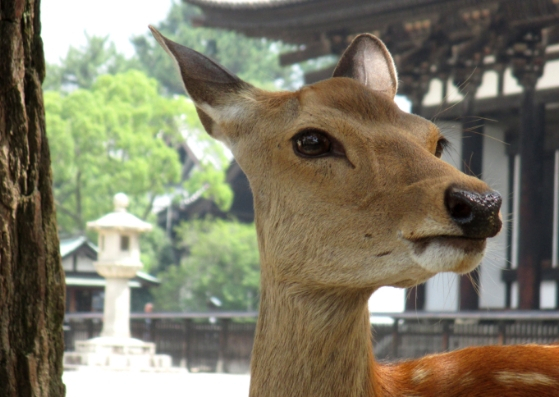 Nara Parka is home to around 1,200 deers, and the uncommon contact with the cutest inhabitant of Nara is an experience that you'll remember forever. Despite being totally free and wild, they're not afraid of humans and they will come after you if they smell you have food inside your bags: but remember that you should only buy special deer crackers inside the park for them, they won't refuse a pet in exchange fot that!